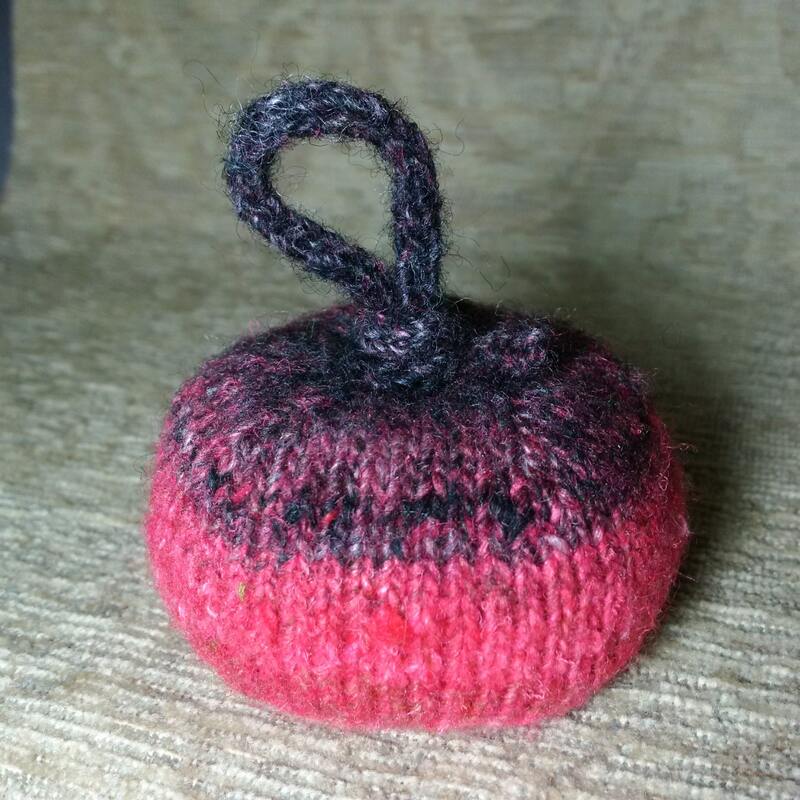 This pincushion is hand knit with a beautiful wool and silk blend yarn. 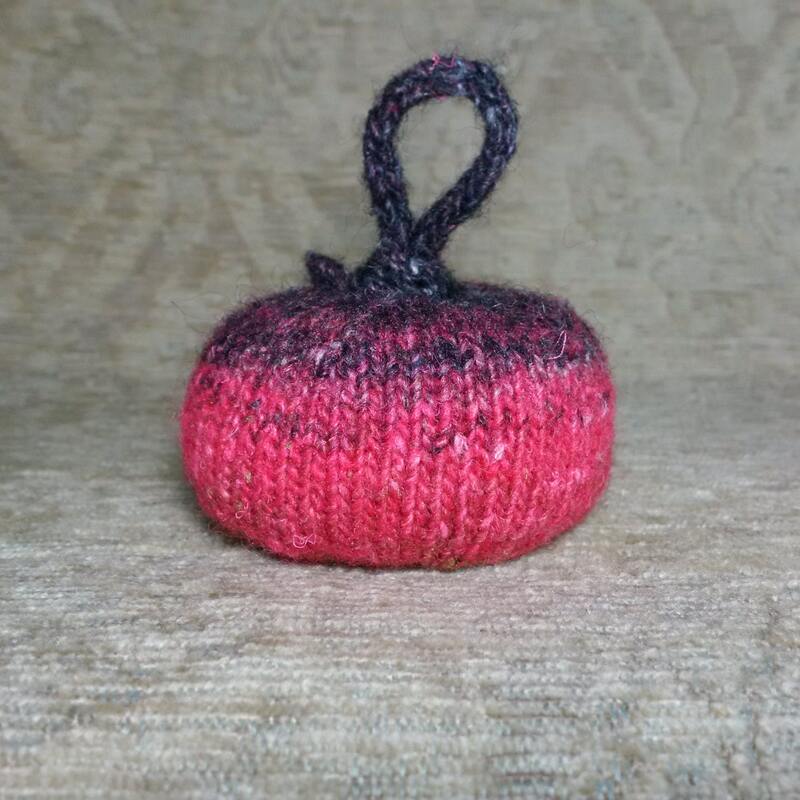 No two pincushions I create are alike, the color change of the yarn ensures each finished item is unique. The pincushion is made from high quality, Noro Silk Garden yarn. The yarn color is a gradient pink and black and consists of 75% wool, 15% nylon, and 10% Silk. 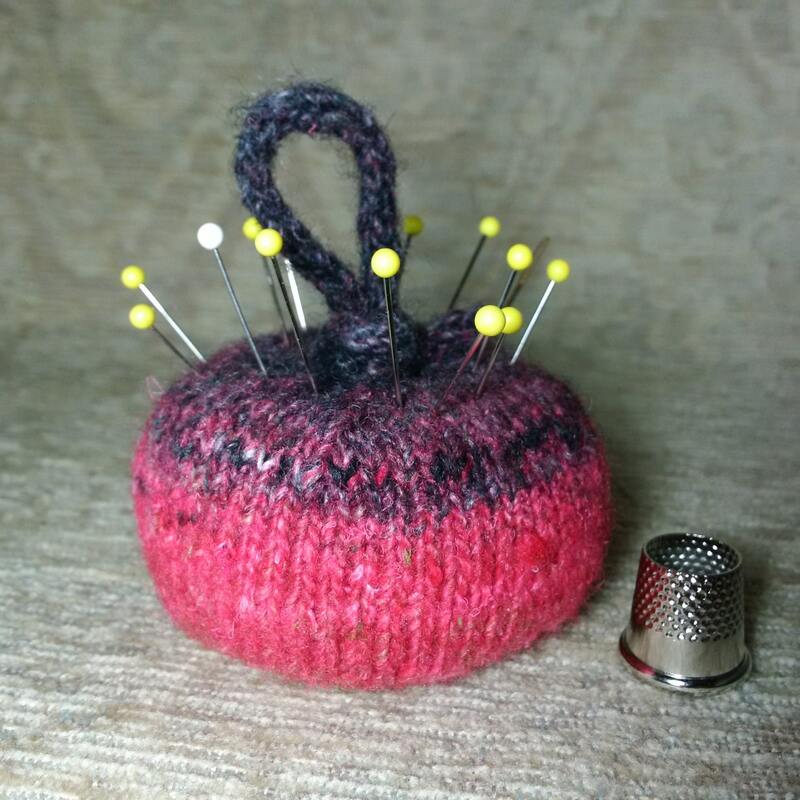 The pincushion is slightly weighted in the bottom with filler beads. There is a convenient loop handle on the top of the pincushion, great for when you need to pin up a hem. 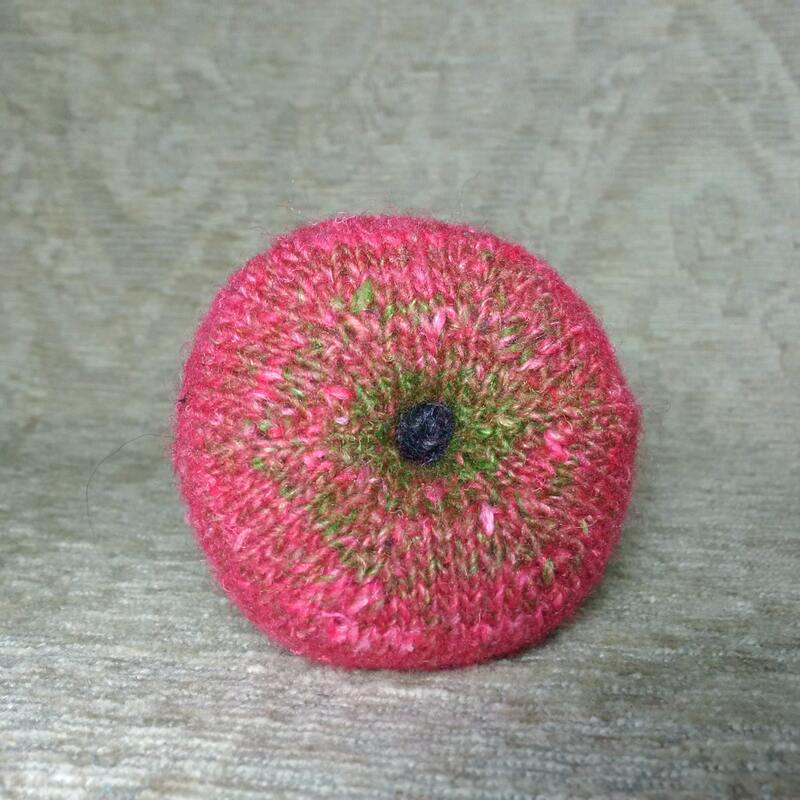 The pincushion is approximately 3 inches wide and has a 1 inch loop on the top.